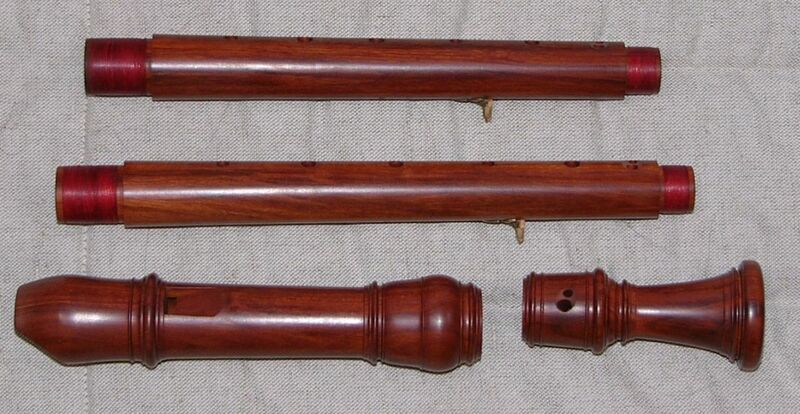 Tom Prescott (Thomas) was one of the first instrument makers to graduate from the Von Huene Workshop and establish his own presence as a maker. In addition he worked closely with Rob Gilliam Turner for a number of years before Turner left to establish his own workshop. In addition o a variety of baroque models, he also produces renaissance and transitional models. 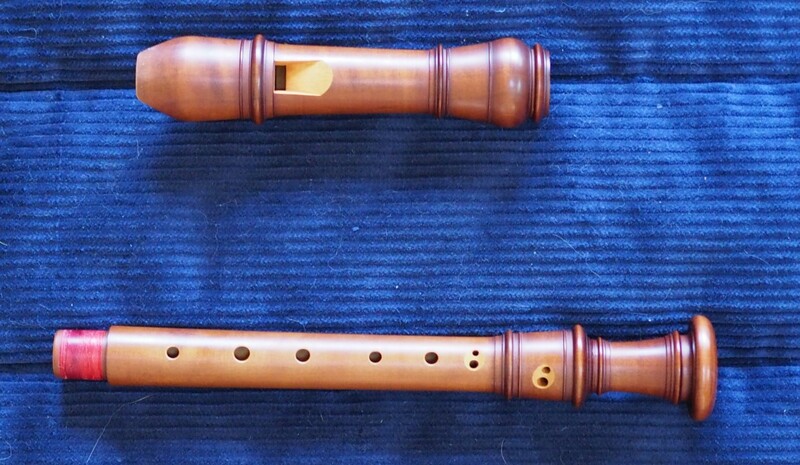 Prescott was one of the first to successfully offer corps de rechange on a wide range of instruments, allowing users to play at two pitches for substantially less than the price of two separate instruments. 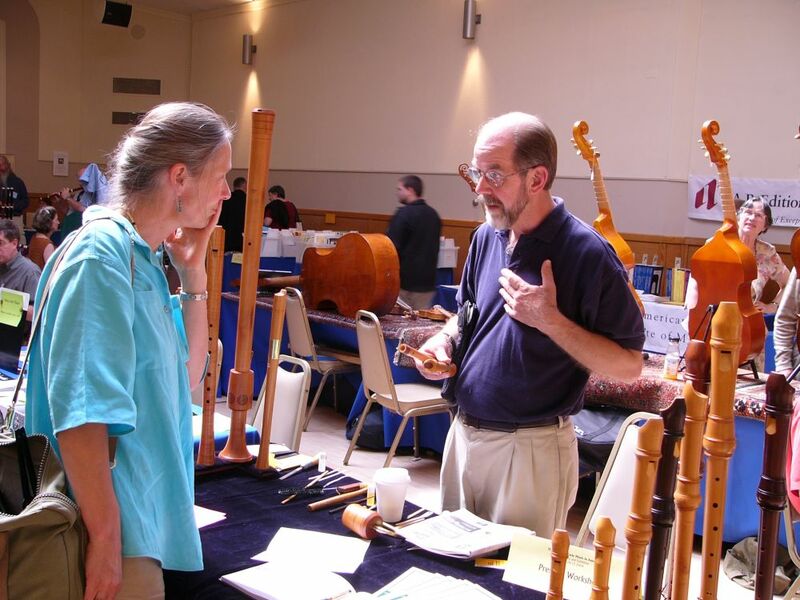 He attends many exhibitions in Europe and the US and will work on instruments brought to him there by customers who want an instrument touched up. The used boxwood Boekhout soprano we have for sale at a=415 is based on an original in ebony with ivory fittings, pitched a=410, which is part of the Metropolitan Museum of Art collection. 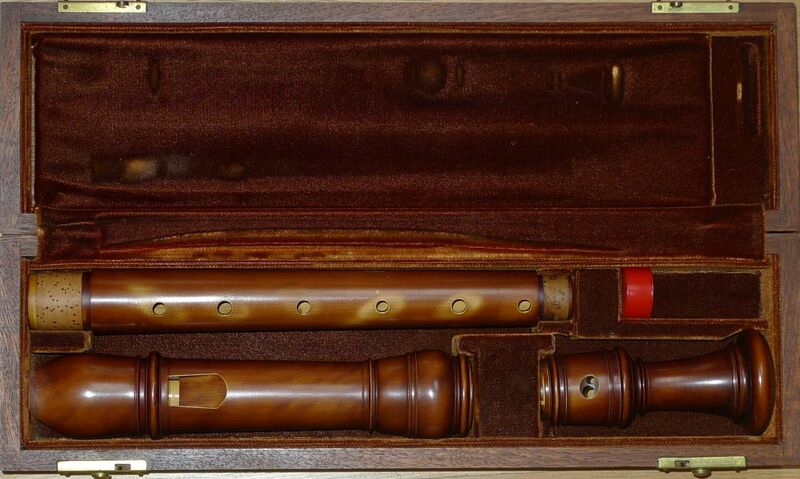 This instrument is in mint condition and like the original it comes in two pieces rather than the usual three, indicating it was a relatively early recorder for Boekhout. The powerful low register and responsive upper range make this instrument a favorite with demanding performers playing at old pitch.